Gutters and downpipes are a vital part of your home. The correct choice of guttering and fixtures will protect your home from heavy rainfall and channel excess water safely away from your house structure. A square feature gutter providing a clean appearance and a high front to hide the roof edge. 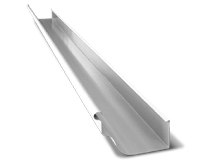 Most suited for tile roofs and “Trimdeck” profile metal roofs. A traditional quad style gutter with classic lines, good water carrying capacity, and the superior strength of hi-tensile steel. Suitable for all metal roofs. A large, traditional quad style gutter with classic lines, good water carrying capacity and the superior strength of hi-tensile steel. A contemporary style gutter based on the traditional quad shape, with excellent water carrying capacity and optional chevron shaped overflow slots. 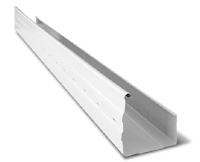 OG Gutter is a traditional gutter with a charismatic profile. ‘OG’ stands for ‘Old Gothic’. Its style makes it the ideal choice for use on both traditional and modern homes. Square front gutter that provides a neat face to roofing. 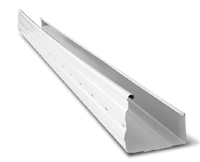 It is a compact gutter that is easy to install and its front height of 110mm makes it an economical alternative to Hi Square Gutter. Manufactured with slots to allow for water overflow.